Like any other sort of insurance, title insurance is an indemnity contract between an insured owner or lender and the title insurance company named on the title policy. Title insurance protects both owners and lenders from financial losses resulting from title defects such as undiscovered liens, forgery, clerical errors, etc. A title insurance company specializes in title insurance. This is not something you combine with your homeowner’s or auto insurance. Unlike other types of insurance, a title insurance policy has only one premium, paid at settlement, and it is good for the entire time that you own the property. Rather than protect you only from future events, title insurance protects you from loss from past events, also. At Front Door Title, we prepare the title insurance commitment for the lender’s policy and issue both owner’s and lender’s coverage. We work with Stewart Title and Guaranty, and Fidelity National Title Insurance Company. There are two types of title insurance. Lender’s title insurance and Owner’s title insurance. A lender’s title insurance policy is required by your lender, to protect them from loss during the life of your loan. The buyer pays for this policy as part of closing costs. While optional, Front Door Title and most real estate professionals recommend owner’s title insurance to protect buyers from any unforeseen claims, hidden risks or fraud involving the property. 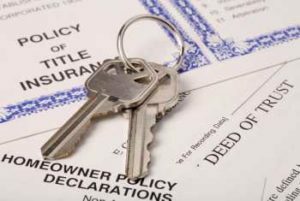 The title insurance policy protects from financial loss and provides payment of legal costs necessary to clear such claims. The cost of each type of title insurance varies based on the purchase price, loan amount, coverage types and other factors.